I know, I know–it’s not pie. It’s Beef and Broccoli. That’s a lot of vegetables, my friend. And even though the meat was delicious, juicy, and tender, this photo makes it look completely unappealing. I’m sorry. Make it anyway. I sauteed the meat and vegetables with coconut oil. 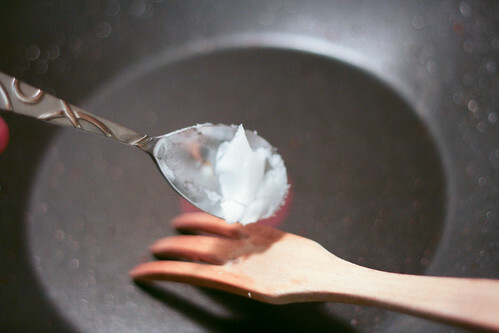 I’ve mostly been using coconut oil as a moisturizer and deep conditioning treatment for my hair, but it’s meant for cooking, and I really liked it. PS, I don’t like coconut. I know that makes me totally crazy, considering I’ve been slathering myself with coconut oil and using it for cooking. I have accepted myself. You won’t notice a coconut flavor in this recipe, it just adds a tiny hint of sweetness. 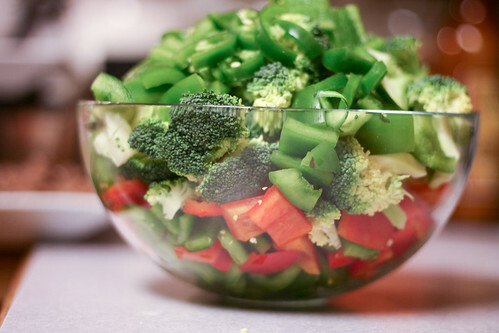 You’ll need a big wok or saute pan to fit everything in. Or you could halve the recipe. But you should know that this saucy goodness makes excellent leftovers. Whisk the cornstarch, broth, soy sauce, Hoisin sauce, brown sugar, sesame oil, ginger, garlic, and optional cayenne together in a bowl. 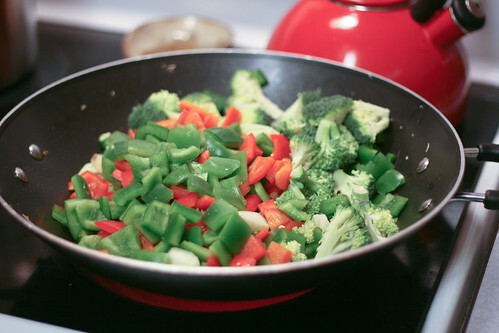 Heat a wok or large saute pan with either Sesame or coconut oil to medium high heat. 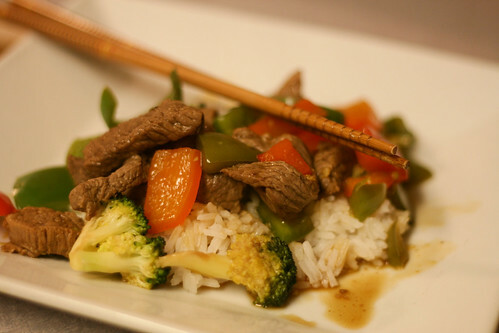 Add the beef and stir fry until brown, but not quite done all the way through. Then remove it to a plate. 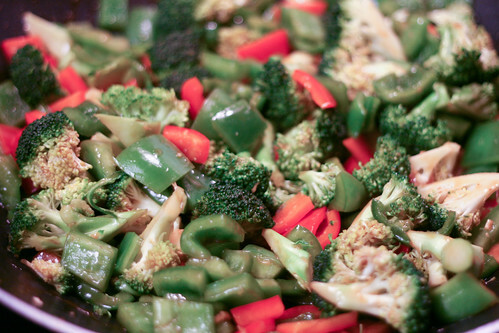 Add a bit more Sesame or coconut oil to the wok, and stir fry the vegetables until just tender. Pour the sauce over the vegetables and bring that to a gentle boil before adding the beef back to the heat. Stir the mixture to make sure all the vegetables and beef get coated in the sauce. 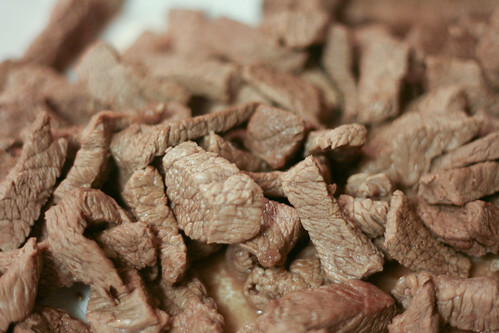 When the beef is just brown all the way through, scoop this mixture over rice, quinoa, or couscous. And by the way, I’ve used this sauce on tempeh and tofu, and I’m honestly not sure what protein I prefer. It’s all so good! Previous Previous post: How about dessert?